THIS IS SET TO BECOME THE NEW NORM! From now on, for study, for work, for drawing and writing, just one Elfinbook is enough! Stop buying notebooks. Stop wasting your money. Stop killing trees! 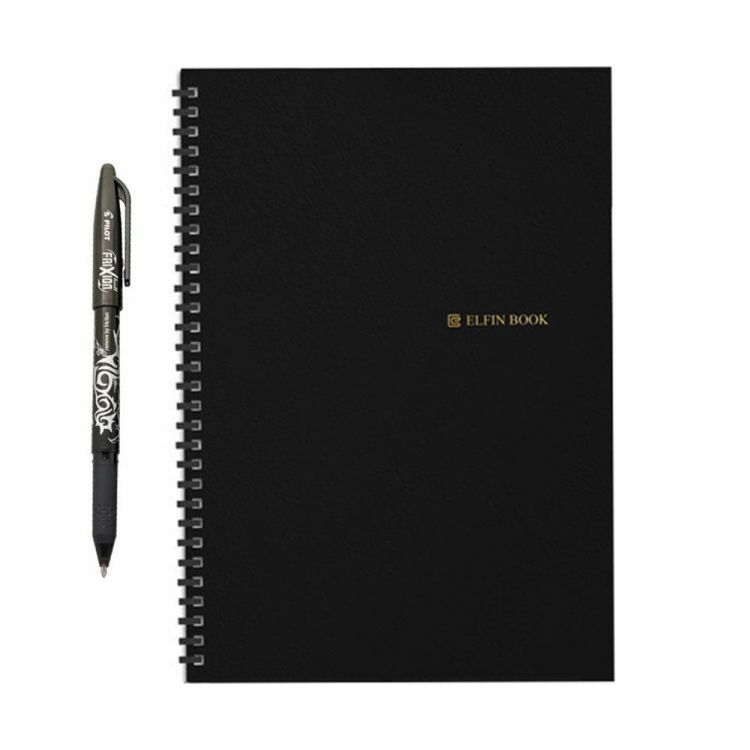 The Elfinbook is the last notebook you’ll ever need. Each sheet can be used up to 500 times. If you suffer from messy notes or you want to save paper and trees, then ORDER NOW. Elfinbook 2.0 also makes a perfect gift! Pick something different for those you care about. 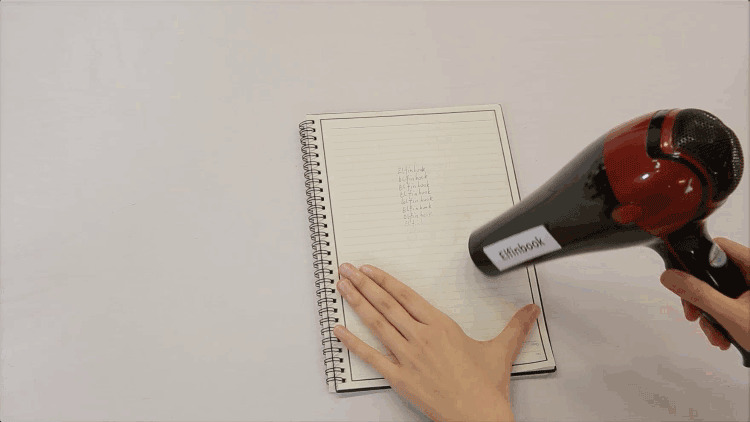 The Elfinbook 2.0 is a damp-cloth-or-heat-to-erase (hair drier would be perfect) reusable notebook that is made out of stones. It is a magical TREE-FREE notebook. All paper in Elfinbook is acid-free fine-grained paper. With 30 double-sided sheet- half lined and half blank. Each sheet of Elfinbook can be reused up to 500 times. The cover of Elfinbook is made of hard, untearable plastic. Put it wherever you want, and it will be brand new as always. Download Elfin book App. Scan with your phone to store anything you write on the book in PDF. Sync your work easily to cloud services – Google Drive, Dropbox, Evernote, Slack, Onedrive, Baidu Netdisk, & more – Perfectly organized. Whenever! Wherever! Whatever! Your notes are safe and organized in your smartphone or tablet. You may name your notes, manage them to different folders, edit them if needed and quickly search them whenever you need. Suitable for students, engineers, designers, managers and anyone who wants to be more organized, creative and productive. Your secret of high efficiency. From now on, for study, for work, for drawing and writing, just one Elfinbook is enough! Stop buying notebooks. Stop wasting your money. Stop killing trees! 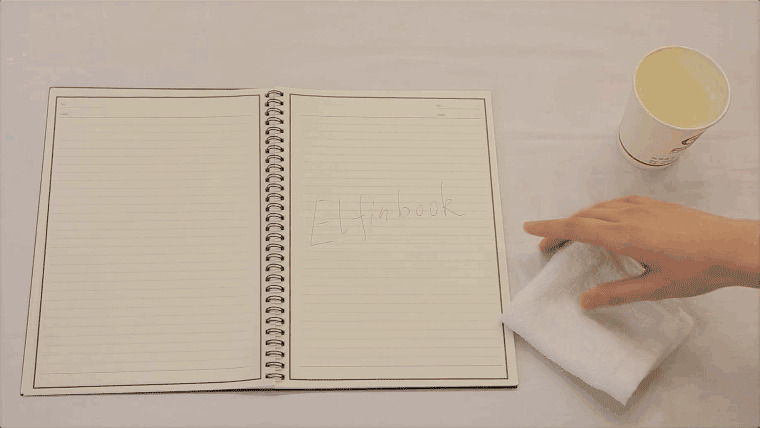 The Elfinbook is the last notebook you’ll ever need. CLICK TO ADD TO CART & GET ONE TODAY!